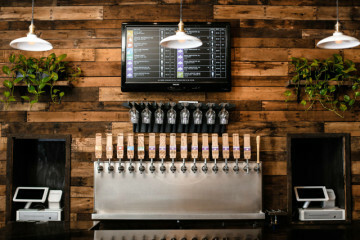 Photo courtesy of Cinderlands Beer Co.
City Design, Current Features, Eat. Drink. Do. 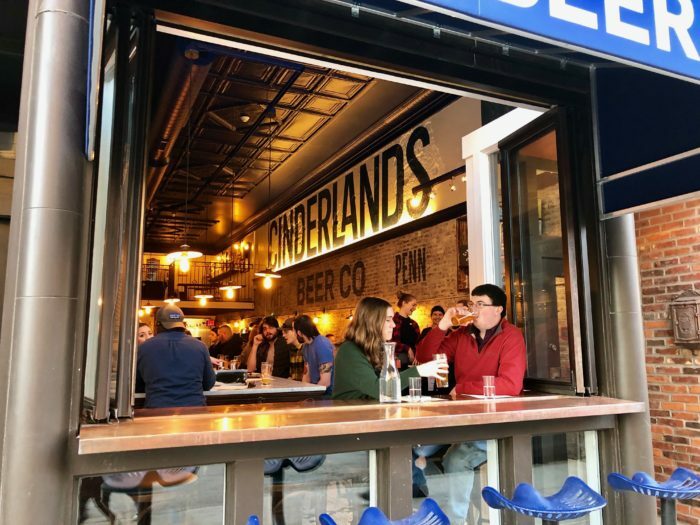 Everything about Cinderlands Beer Co. is small and handmade with care: the beers, the food, the snug, lovingly-restored storefront on Butler Street in Lawrenceville. 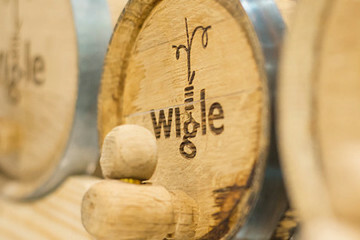 But the beer company will soon open a second brewpub in a much bigger space, formerly occupied by Spaghetti Warehouse, in the Strip District. The current Butler Street Cinderlands, which opened in late November last year, seats up to 80 or so and is often packed. On warmer days, like a recent Tuesday in February, the front window opens to become a bar with four barstools attached. The new spot will hold a lot more, with 300 seats. That’s two separate breweries in two adjacent neighborhoods, just 11 blocks apart. “We run through beer quickly,” explains Warden. “So we can experiment with a lot of new things. We’ll have several taps that are coffee and tea-inspired and more wild styles, sour beers, farmhouse saisons. 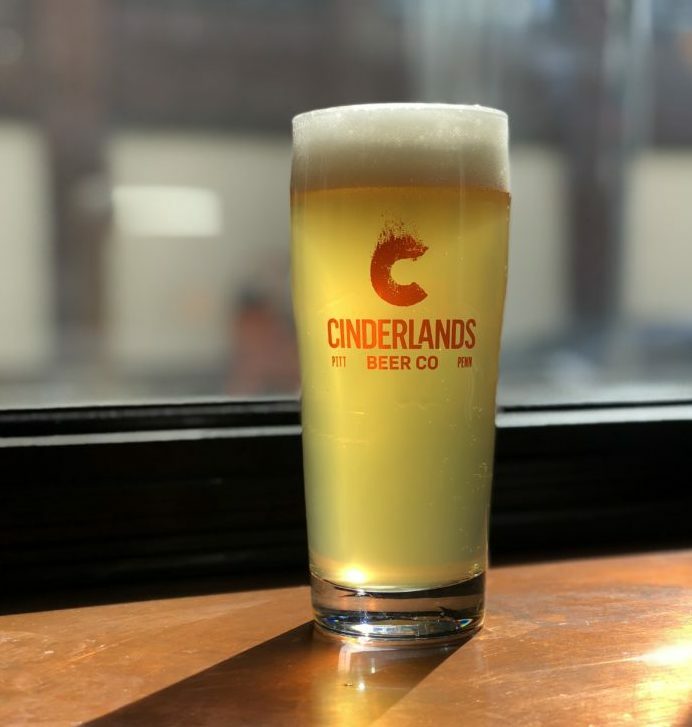 For the moment, their specialty is “modern, bright beers,” notes Paul Schneider, Cinderlands’ head brewer. Another stout, Midnight Ramble, features blackberry and raspberry, and layers of espresso and vanilla bean. On the lighter side, there’s bright and lemony Gypsy Hollow Gose. Gypsy Hollow Gose. Photo courtesy of Cinderlands Beer Co.
Like most brewers, Schneider started out as a homebrewer. He had a solid career as a high school history teacher in Chicago until a beer blog that he started took off and drew him to the craft brewing scene. Unlike a lot of brewpubs, Cinderlands’ food menu, which changes frequently, isn’t an afterthought. “It’s elevated, but not fussy pub food,” says Schneider. Beer turns up throughout the menu in dishes like the spent grain chicharrones — made with spent grains from the brewing process — or the pastrami sandwich, which features beer bread and beer mustard, along with fontina cheese, soured radicchio and pickled peppers. As for the brewery’s name? It’s a nod to Pittsburgh’s industrial past.